The Conjuring films which is loosely inspired by the “demonologist” work of Ed and Lorraine Warren. They use this couple’s real life claims about what they experienced as a tie to the “based on a true story” or “based on real events” (there are many ways of wording it) trope that helps add a depth of terror to horror films. The Exorcist was the first film to use this trope and most scary movies find some way to connect their content to a personal anecdote or historical event. The Warrens were also tied to another blockbuster classic horror film and book – The Amityville Horror. Interestingly enough, the man who wrote the book that the entire franchise is based on filed a lawsuit against the parent company Warner Bros. last year. The meat of Gerald Brittle’s 355-page complaint is that he had a “no competing work” clause with Ed and Lorraine Warren when he wrote the book The Demonologist: The Extraordinary Career of Ed and Lorraine Warren and the allegedly “infringing on his copyright.” However, another part of his claims are more pertinent to the question at hand. 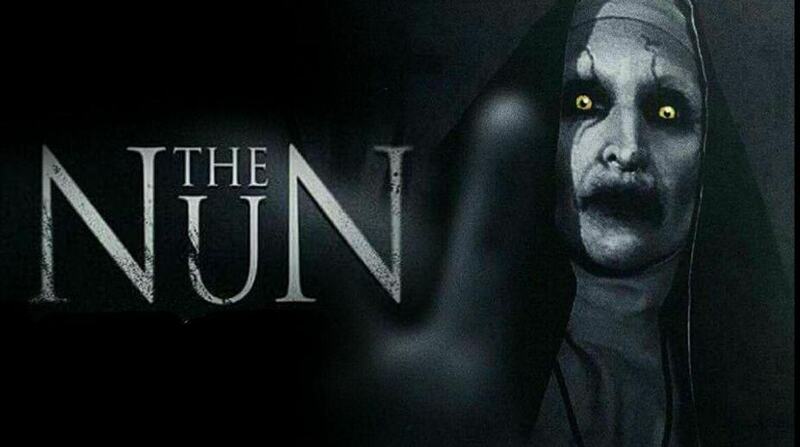 The Nun‘s demon Valak was first introduced in The Conjuring 2 when the Lorraine character finds out the demon has prevented her from being able to detect possession. In what is supposed the end of Valak’s story, Lorraine banishes Valak to hell. The Nun is an origin story for this popular demon. Valak The Nun also made cameos in 2017’s Annabelle: Creation. Valak appears in a photograph during the film and is seen walking down a hallway in a post-credit scene. 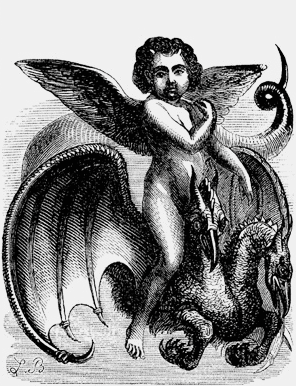 So while the story itself isn’t based on historical fact, the lore of the Valak demon has a history. If you believe in demonlogy, then the idea of Valak may be very real. 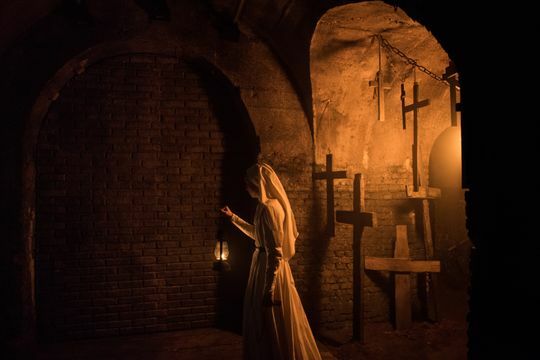 The film’s director Corin Hardy has even claimed to have experienced possible “ghosts” on the Romanian set for The Nun. 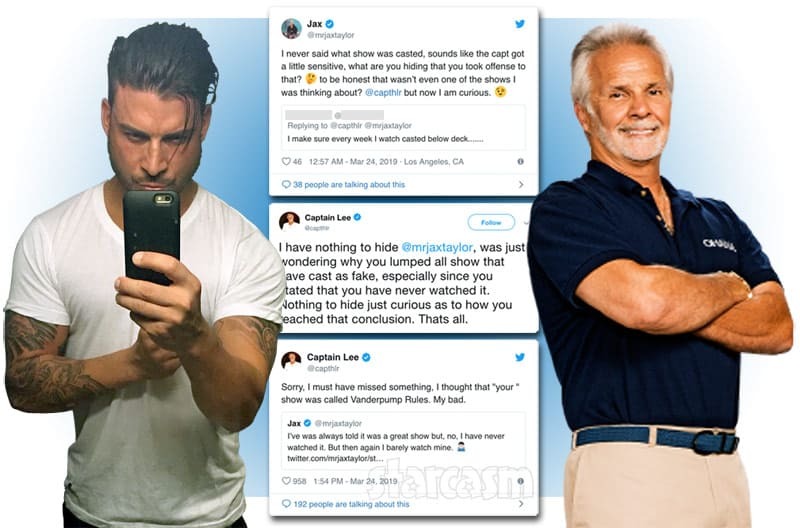 He says saw some guys in the shadows while they were filming. After about an hour and a half he turned to them to asked what they thought and no one was there.